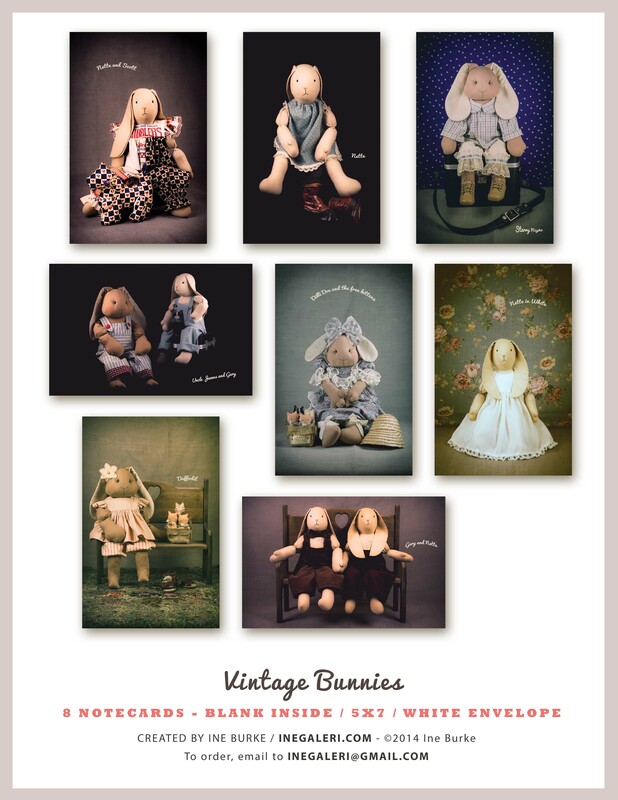 A set of 8 images of vintage handmade bunnies from the late 1980s, photographed by Ine Burke, are now available in the form of note cards. 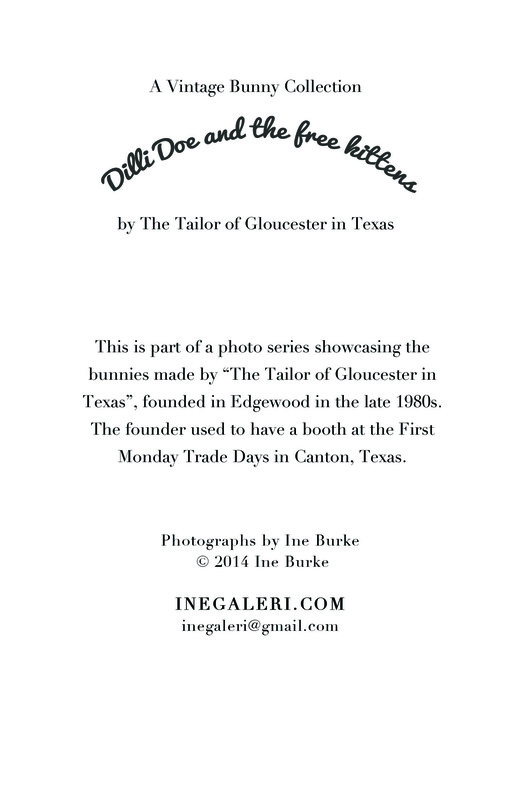 The bunnies were handmade by “The Tailor of Gloucester in Texas” who used to have a booth at the First Monday Trade Days, in Canton, Texas. The notecards are 5″x7″, matte finish, blank inside, comes with white envelope. Sold in set only. Email to inegaleri@gmail.com to order and / or inquire about the wholesale.